Netflix promises a summer that will change everything. 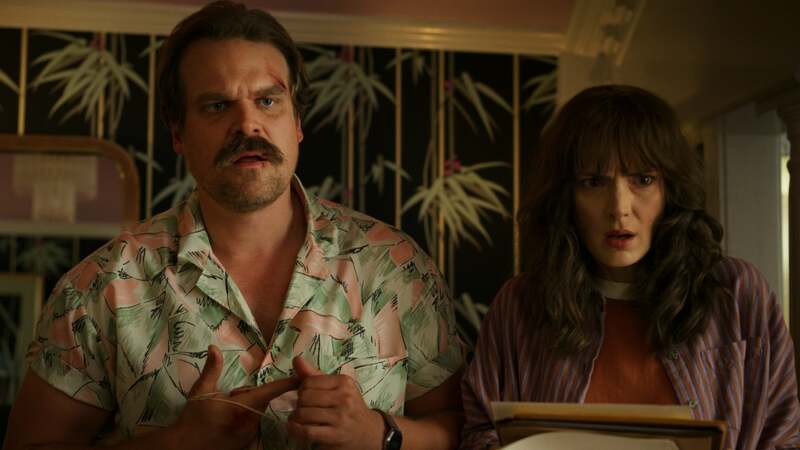 The first full trailer of "Stranger Things Season 3" has finally arrived, and fortunately it contains a lot of new material to question, dissect, and wild theorize. 985, coinciding with the opening of the long awaited Starcourt Mall, which was hinted at in the season's first teaser trailer. In the new mall, we not only get a better view of the Mall Trailer (plus Steve Harrington's dorky new job), we also see the dissatisfaction that brought his arrival to Hawkins, and many members of the city protested the opening. In addition to Mike, Will, Eleven, and the rest of the gang, who are definitely making the most of their summer vacation, we also see new cast members, including Cary Elwes smarmy mayor Kline; Jake Busey's sketchy Hawkins Post reporter Bruce; and Maya Hawke's hitherto unknown mystery girl, Robin (who seems to be a new colleague at the mall). Plus, there's the usual upside down horror as a new sticky monster species turns up in Hawkins. Noteworthy: Will and Eleven do not seem to be the only ones pursued by the machinations of Mind Flayer in the new promo. Netflix has also released seven new third season images that you can see in the gallery below. For more information on Stranger Things, see episode titles for season 3 and a first look at the new 16-bit Stranger Things game under development , which is reportedly based on the events of Season 3. Strange Things Season 3 will be premiered on Netflix on July 4th worldwide.